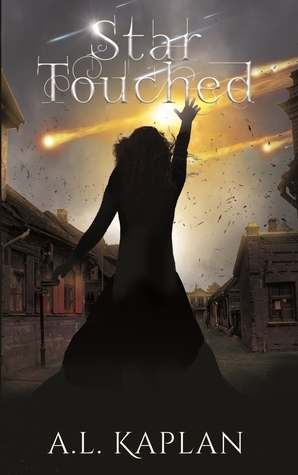 Star Touched is a dystopian novel that takes place after a terrible Cataclysm has destroyed much of the country. It is also a fantasy novel in which some survivors of the Cataclysm have received magical powers. And it is a young adult novel with the theme of accepting others who are different and a focus on teenage and young twenties characters, with older characters depicted as caring parental figures or cruel bullies. The story begins as a bucolic celebration of living a simple, primitive life close to nature. The emphasis of this long introductory part of the novel is on Tatiana, an 18-year-old whose efforts to be good and helpful are not always appreciated and who is mistreated by the authority figure Sabrina. Tatiana’s super powers are seldom called on in this first half of the novel. In fact, she tries to hide them because they make her different. This combination of the fantasy trope with the young adult trope is the most intriguing aspect of the novel. Then the story takes a turn a little past the middle. It slips into yet another genre, the action-adventure story. The conflict becomes physical rather than emotional. There is a vivid, bloody depiction of a protracted battle in which good, caring people (and animals) fight against sadistic villains. Because of the unanswered question of how some people became “star touched” after the Cataclysm and the hints that more trouble is brewing, the novel seems to promise that it is the first of a series.